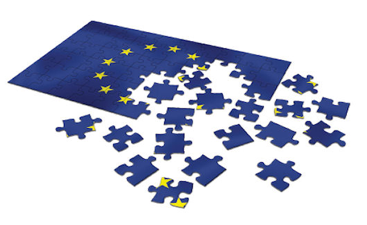 In his article “The Challenges for European Identity” Francis Fukuyama claims the undergoing crisis in the European Union is primarily a crisis over its identity rather than economic or political foundations. While the author's standpoint is clear, no comprehensive explanation is really provided on the roots of the problem. Likewise, no policy implications are given based on the analysis of the EU identity crisis. The proposed response to the article aims to fill in this gap. I would like to first pick up on the strong elements of Fukuyama's argument. I will then challenge his standpoint by contrasting the EU identity with that of the Soviet Union. Drawn out of such comparative analysis, my ultimate argument will be that construction of a supranational identity at the EU level is sheer impossibility due to a wide range of unsolvable contradictions. In “The Challenges for European Identity” Fukuyama asserts that national identity and nation building are critical for the success of any society, including European society. The author's main idea is that the EU is currently failing due to lack of a proper supranational (European) identity, with the economic and political factors being secondary. Fukuyama claims there has never been a successful attempt to create a European sense of identity. In fact, the whole EU project, in his opinion, was mainly constructed by elites as “a technocratic exercise for the purposes of economic efficiency”. The author further suggests that economic reforms cannot resolve the EU identity crisis, and in fact stimulate re-nationalization of Europe. Fukuyama is persuasive about his thesis of identity-success interrelation in a given society, and in the EU in particular. However, he limits his explanation of identity crisis to the economic field only. The author advocates for “positive values” in which to re-build European identity, but does not specify any of them. In this regard, the study of nation building in another supranational entity – USSR – can shed a light on the causes of the challenges for European identity. The reason why USSR is a valid example for comparison is two-fold. On the one hand, identity formation in the Soviet Union is somewhat similar with that of the EU. On the other hand, unlike the EU it was a successful attempt at identity construction ('soviet people') at the supranational level. To start a comparative analysis, there are a few similarities between the identity formations in the EU and the Soviet Union. Firstly, the EU shares with the USSR a multinational and multilingual character. In another instance, the EU wishes to assume a supranational identity. Despite these similarities, however, the number of differences remains high. These differences can be traced on three levels – national, supranational and global. On the national level, there was a predominant nation in the Soviet Union – the Russian one – that served as a foundation for constructing the new Soviet people. Predominance here is understood as the biggest ethnic group on a given territory. The EU, while priding itself on being 'united in diversity', does not have such a prevailing nation. While some of the EU members may claim to take the economic and political lead, there is no single prevailing ethnicity in the region. Likewise, the Soviet Union had Russian as a predominant language that was and is still spoken in the ex-USSR territories. In contrast, Europe is too linguistically diverse to assume a single language that could boost common identity. A good illustration of the thesis is the invented Esperanto language that failed to serve as an official one in the EU. The next level – supranational – also exposes major differences between the EU and USSR identity formations. At first glance, it is clear the EU today lacks a formal ideology. The Soviet Union was built upon a Communist ideology that was paramount within its borders and even spread beyond them. The strategy of Communists was not without failures, but the common Soviet identity played a crucial role in uniting the Soviet people. More important, it created a new type of patriotism, mass enthusiasm, and pride to be a Soviet citizen. These feelings became especially intense during big historical crises, such as the Great Patriotic War (The Second World War) and sometimes during the Cold War. In contrast, the EU policy-makers have never attempted to construct an identity with solidarity, equality and justice being the core values. Nor is there a major external threat that could foster unification of different peoples in the region. The last level of analysis is perhaps the most important one. On the global level, the forms and structures that defined the world for the last half century changed irrevocably after the collapse of the USSR. Globalization has weakened the national dimension of nation-states. Today a new type of a state is being constructed all around the globe. This is corporation-state, a candidate for replacing the “outdated” nation-state that reached its peak of development in the period of 1850-1970's. Corporation-state is an entity of a primarily economic character (vs. political in a nation-state) aimed at minimizing costs and expenses. In this respect, the Soviet identity was constructed still in the Modern epoch when everything national was an indispensable feature of state-building and identity formation. In contrast, formation of European identity can only happen in the Postmodern epoch, that is today, when corporate identity is becoming more and more important. There is therefore an inherent unresolvable contradiction in uniting nations when nation-states are fading away. Let me draw a conclusion at this stage. Unlike Francis Fukuyama, who mildly concludes his article by saying the problem of supranational identity will be coming back in EU, I strongly assert that nation-building is impossible at the EU level. In contrast, the Soviet Union provides a successful example of identity-formation, the identity which untied all Soviet people irrespective of their racial, religious, national and other affiliations. Yet, as discussed above, this proves unlikely to happen in contemporary Europe. The European Citizen: Just a Myth?